“Recently Deleted” is an album. When you delete photos and videos from your iDevice, iOS system will create this album automatically. When you delete a photo, it goes into your Recently Deleted album. They'll stay in there for 30 days and then they're gone forever. If you accidentally delete a photo, you have 30 days to get it back from your Recently Deleted album. When you recover photos and videos, they go back into your All Photos album. 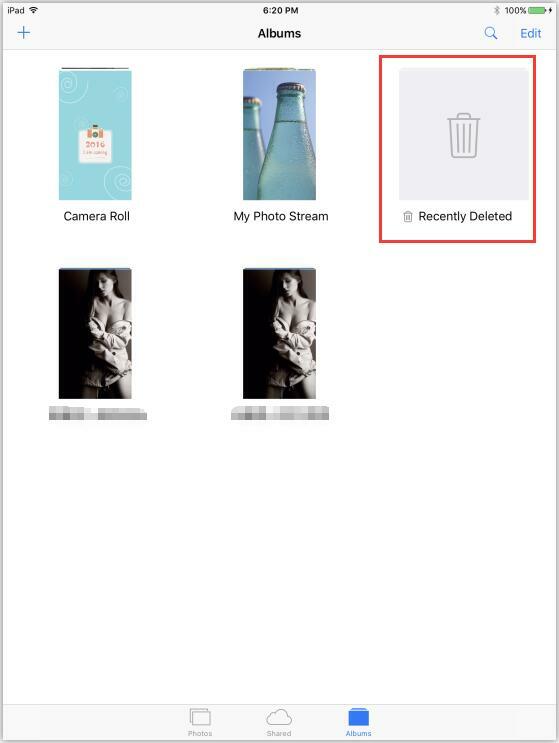 Photos in “Recently Deleted” album can not be deleted using 3uTools on PC, please delete them on your iDevice. How to Download Apps Using 3uTools? How to Unlock iPhone? How to Activate iPhone? How to Enter KDFU Mode While downgrading? How to Download Apps Without Apple ID & Password? FAQ for Downgrading to iOS 6.1.3 / 8.4.1 with 3uTools How to Fix An iPhone That Keeps Asking for iCloud Login & Password? How to Fix iDevice Stuck in DFU Mode Using 3uTools?